I wrote this blog post a couple of years ago and just rediscovered it recently. I thought it would be a good time to share it with all of you. It’s about learning to embrace rejection rather than fearing it. And it’s about learning to see rejection as one of the ways that the universe guides us to where we need to be. It was a Saturday night and I was racing around getting ready to leave for the party, when the phone rang. It was the host calling to ask me NOT to come to the gathering. He said he didn’t think it would be my scene. I got off the phone, feeling a little dazed by the sudden change of plans, and slowly, it began to dawn on me, “ I think I was just uninvited from this party. It’s not that I would be uncomfortable, it’s that he didn’t want me to be there. You see, I had felt mixed about going to this party as well. Partly because I was enjoying my time at home and partly because I wasn’t sure if this group of people was right for me anymore. As I sat and reflected, I couldn’t help but feel the hand of spirit guiding me, confirming in a way, what I had already suspected. The gap between where I was at and where they were had grown too wide. It was no longer where I belonged. I sat quietly on the couch, enjoying the quiet and feeling a little nostalgic for times past where this had been my right place in the world. I sat alone, aware that one door of happiness had just been closed, unsure of where the next door was or when it would open. A chapter had just ended and a new chapter yet to have begun. I sat in the void with nothing to do but trust the next chapter of my life would unfold in its own time. I guess it’s just a reminder that rejection is not bad. That rejection is part of how the universe guides us to where we need to be. As I sat quietly on my couch dressed for my party, with no party to go to, I realized what I really wanted was to meet new people who resonated more with the person I’ve become rather than the person I had once been. As I sat on the couch I quietly asked the universe to guide me to where I needed to be, to bring the right people into my life, and to show me where I belonged. I asked the universe to guide me to my next chapter. “Always remember that rejection is the universe telling you that you are going in the wrong direction. Remember that rejection is not bad. Learn to welcome rejection so that you will know where you do and do not belong at this time. Experiencing rejection will create a void in your life, which will help open your energy to the new. In a weird way, my friend was right. This party was no longer my scene. And so, over the course of the following week, I surrendered, I understood, and I allowed myself to be guided. And for now, I sit in the void between where I once was and were I will go in the future, and I sit and enjoy the quietude knowing that everything changes and that when the time is right, I will be guided to my next door of happiness. I was thinking about acceptance this weekend, and wrote a quick blog post on the matter. It is my hope that it helps all of us to accept not only ourselves, but others as well. I accept that you have weakness. I accept that sometimes I do not. I accept that you are also wounded in ways that are hard to understand. I accept you, and my acceptance leads to clarity so that I know how to best proceed. Sometimes my acceptance makes it easier to stay in relationship and sometimes my acceptance leads me to walk away. I accept you and my acceptance leads to clarity. When I am clear, I will know what to do. Have you noticed that everyone has some crazy in them? It can be a challenging world out there and if you find one or two people whose craziness doesn’t bother you all that much you are indeed fortunate. And what about the rest? How do you make it through this world? Some days it seems that the only thing one can do is wrap everyone in a blanket of acceptance. What can you do but accept the wounded places in our selves and others? This, is not the same as complacency. For after we have accepted, we then get to decide how to best proceed. But practicing acceptance will calm the solar plexus chakra and allow a natural knowing to arise. For today, practice wrapping all of your relationships in acceptance. Accept the strengths, accept the weakness, and accept the crazy. Accept it all. Allow your acceptance to calm the solar plexus. 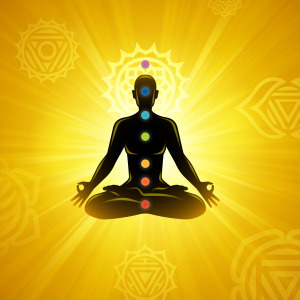 When the solar plexus is calm a natural knowing about how to best proceed will arise. P.S. We are gearing up for our next TRCB Group Healing Session (Tele class) happening the fourth Sunday in April. 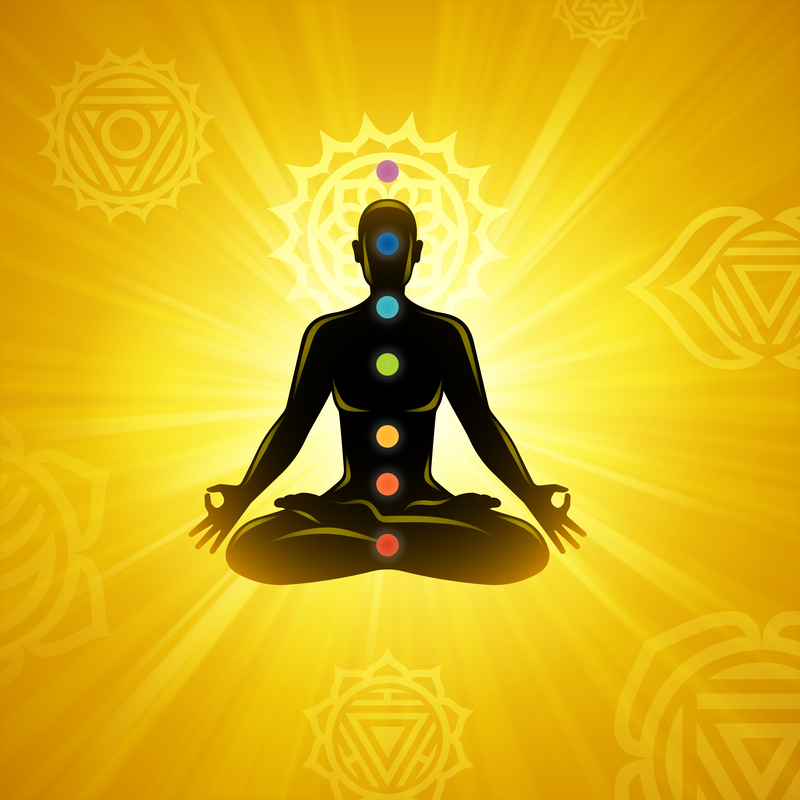 If you are interested in finding deeper acceptance, balancing all seven chakras, and bringing your best self forward more be sure to sign up for our next call. We are spirit. We are unified by love. I wrote a short guided meditation this week and then realized it was a nice meditation to share for Valentines Day. I have found it to be a really helpful meditation for healing relationships and connecting with the love that exists beneath the surface regardless of external appearances. Hope that it is healing for you as well. We are unified by love. Take a moment now and feel the vibration of the words. Feel the energy. Repeat this affirmation to yourself and allow the words to shift your energy. How does it feel to remember that we are one and that we are unified by love? Bring to mind now, someone that you easily feel love for. Remember that you are both spirit, that you are one and unified by love. Feel this deeply in your being. How does this rememberance impact your relationship? Now, this time bring to mind a relationship that challenges you, where perhaps you have forgotten that you are both spirit and unified by love. Feel the force of love running between you and others despite appearances to the contrary. Remember who you are. Remember who they are. You are spirit. They are spirit. You are one and unified by love. Allow the rememberance of who you are to act as a healing force in this relationship. What shifts as you remember who you are and that you are unified in love? How does this change your feelings and your actions? Allow this affirmation to act as a healing agent in your relationships. Allow the simple rememberance of who you are and that love unifies to sooth your soul and shift your energetic frequency around your relationships. Remember who you. Remember why you have come. You have come to love, to share, to grow, to learn, to serve. Remember who you are and seek to bring as much love to the world as you can. Do not confuse this with tolerating poor behavior. You can still decide to leave a relationship, but you can leave knowing that at your core you are unified by love. Feel your unity, you love, your connection with all of life. Remember who you are and why you are here. You are here to share love. Share your love now. Allow your heart to be open and to feel the inherent love that is all around you. Feel your love now and allow the rememberance of who you are and why you are here to be a healing agent in all of your relationships. Remember. Remember. Remember who you are and why you are here. See the force of love running between you and all of your relationships despite appearances to the contrary. Allow this to shift and change the energetic frequencies between you and others. Be aware of how this impacts all of your relationships. Learning to stand your ground and remain open. Just this week I was talking to a friend about a situation I was struggling with. This very well meaning friend had a strong opinion about what I needed to do…asap! And though my friend was well meaning I realized after some reflection that I didn’t agree with her opinion. But because of the strength of her opinion, and my own insecurity about the situation I was facing, it took some work on my part to get beyond the opinions and hear my own inner voice. I spent much of the week meditating on the situation and received the following message in one of those meditations. I thought that I’d share it here with all of you, in case you too need some assistance getting past all the opinions that are out there, and connecting instead with your own inner wisdom and knowing. Learning to stand in your own convictions. Opinions are everywhere. Everyone’s got an opinion, they are a dime a dozen. There will be voices all around you that seek to distract you. There will be voices all around you that mean well but are incorrect. There will be people who are sure that they are right about what you must do, but who are wrong. And there will those who speak timidly and whose depth of opinion is accurate but who lack the inner conviction to make their words heard. In the end you must go deep within and listen to your own inner promptings. You must go deep within and do what you think is best. And so go deep within and desire to seek your own counsel. You have become too dependent on the opinion of others. Go within and do what your spirit guides you to do. Let others share their opinions, but in the end you must be your own authority. Everyone thinks they know what it is best. Everyone has an opinion. But opinions are easy. You are the one who must live with the consequences of your actions. You are the one who must live with the decisions that you make. It’s easy to have an opinion when it’s not your life. Its easy to have an opinion when its not you who has to live with the consequences of that opinion. So go deep within now and listen deeply within so that you will know what is yours to do and what is not yours to do. There are so many opinions and if you are overly affected by the opinions of others you will not be able to do what is yours to do. There will always be those who dislike your work. There will always be those who look with a critical eye or have nothing constructive to say. There will always be those who mean well but still shout out their bad advice despite their best intentions. Go deep within now. Listen to your own inner voice. Listen to your own guides. Listen to the whispers of spirit all around you. All of life is guiding you. Stand in your own convictions now. I stand in my convictions. See what it feels like to stand in your convictions. Feel the strength. Feel the confidence. Feel the clarity. Stand in your convictions and allow your life to unfold. Do not allow yourself to be unduly influenced by the opinions of others. Instead seek your own counsel. This is the lesson being set before you. Become a more independent thinker. I seek my own counsel. In the end it is you that will have to live with the consequences of your decisions and so it is you that must decide how to be. Do not give your power away to others. Have the courage to stand in your convictions even if all those around you disapprove. Stand in your convictions and remain open to the learning process knowing that your thoughts, feelings and beliefs will evolve and grow. Stand in your conviction now and go forward with an attitude of openness and deep listening, attuning as best you can to the moment. If you are in conviction alone, you will become too rigid. If you are just in openness you will be a leaf in the wind. And so combine the two now, stand in your convictions and maintain the openness needed to learn, grow, and evolve. You can always find someone to support your belief and you can always find someone to tell you, you are wrong. Listen deeply instead. Keep your own counsel. Stand in your convictions and maintain an openness so that continued growth and learning can occur. Seek to be as open as you can and as full of conviction as you can. Do not be afraid to be open and do not be afraid to stand in your conviction. Both are needed for a life of balance. I am open to growing. I am open to evolving my current state of mind. I hold my point of view. I say what is mine to say. I am both open and I stand in my convictions. I am open to the thoughts and opinions of others but in the end I seek my own counsel. I am not overly affected by the opinions of others. I listen deeply to my own inner wisdom. I am learning to listen within. I am learning to listen to my guides. I am learning to listen to the spiritual forces that are all around me. I am learning to listen to myself and my deepest knowing. Practice now going within, listening deeply, and following your own inner guidance. In this way you will learn how to seek your own counsel and how to stand in your own convictions, while simultaneously remaining open to growth, learning, and the evolutionary process of life.